Fruit Logistica, the leading global trade fair for the fresh fruit and vegetable business, has published a major new report that scrutinises developments of new technologies, the growth of online retail, and rising consumer demand outside the home as three areas that will radically change the shape of the fresh produce supply chain over the coming decade. Download part one of the Fruit Logistica Trend Report 2018 here. 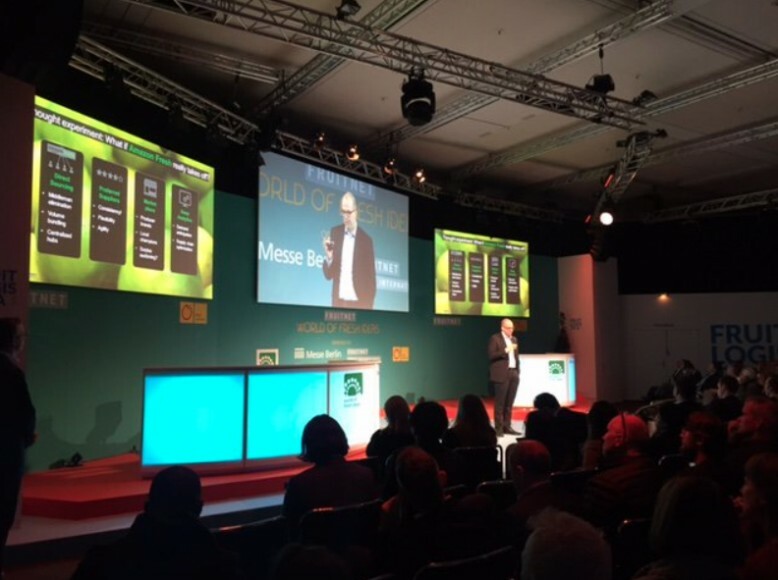 Produced by leading global management consultancy Oliver Wyman and unveiled during Fruitnet World of Fresh Ideas at the start of Fruit Logistica 2018, Disruption in Fruit and Vegetable Distribution is a far-reaching investigation into the global fresh produce industry with insights that help position fruit and vegetable suppliers to meet future customer demands. The report sheds light on how markets, consumers, companies, and technology are going to change the way fresh produce is procured, transported, and sold. This is of particular importance in an increasingly global and interconnected marketplace, with an overall increase in demand driven by population expansion in certain parts of the world and higher spending on food in general. • The appearance of faster, more flexible distribution networks characterized by greater transparency, more sophisticated forecasting systems, and, in many cases, closer collaboration between supply chain partners who were previously prone to contentious negotiation. • Continued growth in online sales of fresh fruit and vegetables across the globe, driven by lower delivery costs, better distribution technology, and growing interest among shoppers. • Far greater complexity and higher expectations from customers in the foodservice arena, as consumers look to find better quality, convenience, and variety across an increasingly range of outlets. 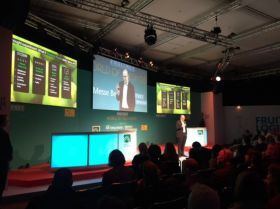 On 6 February, Oliver Wyman partner and lead report author Rainer Münch delivered several highlights from the study during Fruitnet World of Fresh Ideas, a multimedia experience organised by Fruitnet that serves as a curtain-raiser for Fruit Logistica. Sections of the Fruit Logistica Trend Report 2018 will be published on the Fruit Logistica website over the coming months, starting with an introduction here.